An occasional series of social events, outings, meals and entertainment organised by and for over 60s (or thereabouts!). 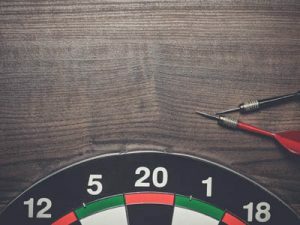 Previous events have included: – visits to Cotswolds, garden centres, shopping centres, walking activities, quiz nights, etc, etc. New ideas and newcomers always welcome. Held on the second Monday of each month. 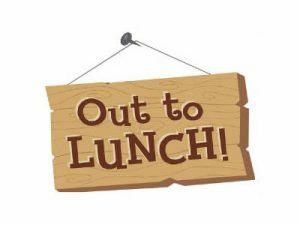 Run jointly by Hasbury Christian Fellowship, Hasbury Methodist Church and St Margaret of Antioch CofE, the Lunch Club is held at Hasbury Christian Fellowship and caters for those who don’t get the chance to get out and about much. A group of 40 to 50+ people share lunch and fellowship together. Held annually during the Easter holiday. Previous themes for this very popular event include ‘The Adventure Cruise’, ‘Champions’ and Easter Eggstravaganza. Next year’s Holiday Club will be held again during the Easter holidays. Dates are yet to be confirmed. Check ‘What’s Coming Up’ as Easter gets close! Held each year as an alternative to going Trick or Treating. 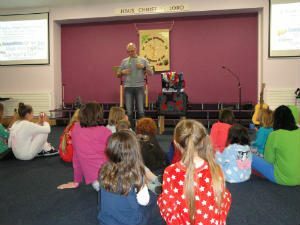 During the evening, there are craft activities, games, lovely food, a praise party and a fantastic magic show by David. The Beach Club is held on Skegness beach during the second week of August. 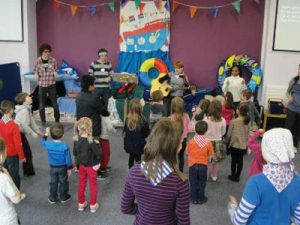 Good News Beach Club is intended to entertain, teach and present the Christian message to children and adults who live or are holidaying in Skegness. 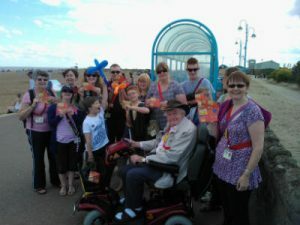 The team leading Good News Beach Club are all volunteers who give up their holidays to come to Skegness because as committed Christians we believe that the message of Jesus is important and relevant to everyone today. Some of the team members work with children as teachers or pre-school workers; others earn their living in other ways. All are regular workers in their own churches. The Beach club is run in association with St Paul’s Baptist Church, Skegness and is organized by Hasbury Christian Fellowship. Find the Good News Beach Club page here. This very popular and successful group run by Michaela Mucklow meets at two venues including Hasbury Christian Fellowship on Tuesday mornings at 9.30 & 11.30am and Lutley Community Centre on Tuesday evenings. Michaela would be very happy to see you or give you more information. For more information go to Slimming World’s website. Each week, the members attending Slimming World make donations towards the Little Fishes Toddler Group at Hasbury. This is used towards materials and equipment used by the group. The toddlers are very grateful to all at Slimming World. Hasbury CF now hosts Pilates classes on site. Run by Justine Rogers, the classes are held on Tuesday evening at 6.00pm and 7.15pm. Pilates is a precise gentle exercise which develops strength, flexibility, stamina, and well-being. For more information, go to Justine’s website.